We’ve been thinking of things to cover the floor of Molly’s studio. 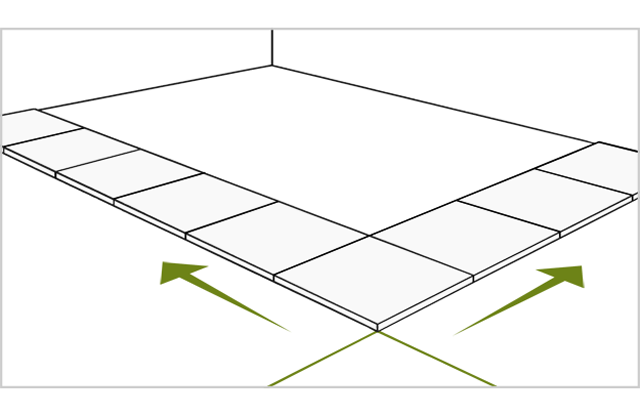 With that we thought sharing how to tile a floor might be of interest to you all. 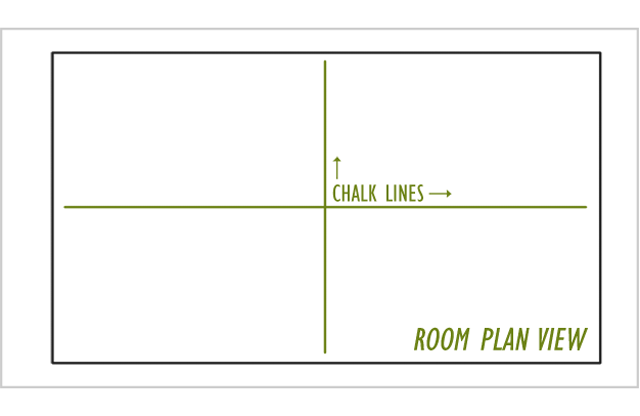 Find the mid-points of the two longest walls and draw a chalk line across the floor room between these points. Repeat for the shorter walls but adjust the line so that it passes through the centre of the first line at right angles. 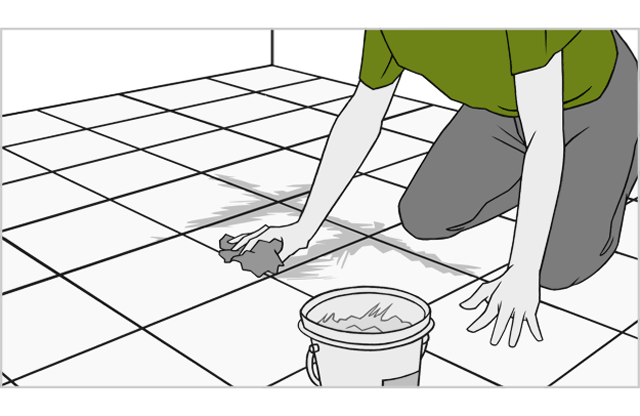 Lay tiles along the two lines to check if they look right from the doorway. If any gaps at the walls are less than half a tile wide, shift the line across to make more of a gap. Also, move the guide lines so that tiles around a dominant feature (ie, a fireplace or French windows) are symmetrical and there are whole tiles at the doorway. Try to work with as many whole tiles as possible, even if it means adjusting the grout line width slightly. 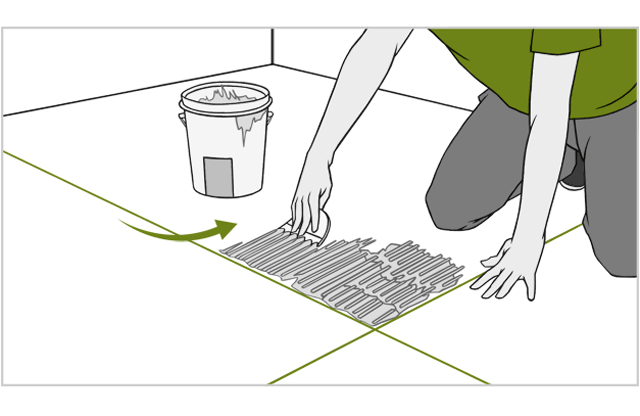 Spread about one square metre of tile adhesive/grout into one of the right angles made by the two crossing chalk lines. Scrape the notched edge of the trowel across the mix to form ridges of the same thickness. Lay the first few tiles along the edge of the longest centre line. Gently press the tiles into place, making sure they also line up with the other centre line. Add plastic spacers at each corner to keep them exactly the same distance apart for grouting. Work outwards from the middle of the room until you have laid all the whole tiles on one half of the floor. 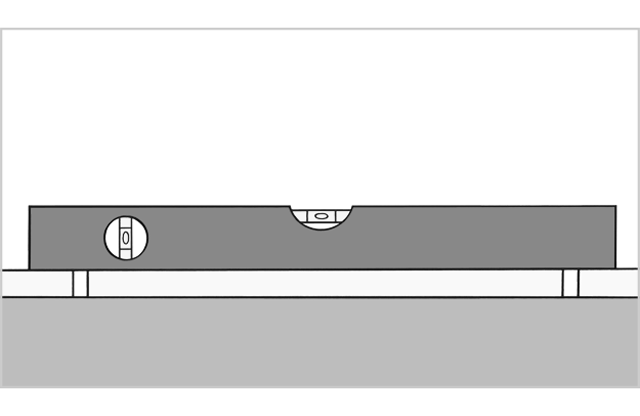 Use a spirit level to check the tiles are at the same level. Now move across to the other side of the longest centre line and add the rest of the whole tiles. Leave to set for 24 hours. 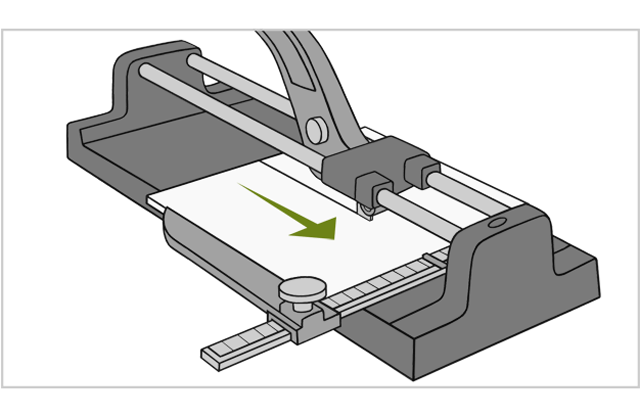 Use the tile cutter to trim the edge tiles to the right shape. Measure the space at both ends in case the walls are uneven and remember to allow for the grouting gap. Always wear goggles and gloves when cutting tiles. Leave the adhesive to set for at least 12 hours, then seal the surface and allow the sealer to dry for at least two hours. Grout between the tiles with the adhesive/grout. Buy all the tiles you will need at one time if possible to avoid any differences between batches. Wholesale tile can be a way to save money. Shuffle packs of natural or handmade tiles to ensure any colour or pattern differences are spread evenly over the floor. If you want to form a pattern, draw a plan of the room on graph paper to make sure the pattern will look in proportion and symmetrical. To tile a room which has to be used everyday, tile one half of the area at a time so you can still walk across the bare floor while the tile adhesive sets. If you find you are working slowly and the adhesive is beginning to set, only spread around half a square metre at a time. It’s essential the adhesive is still wet when the tiles are being fixed. 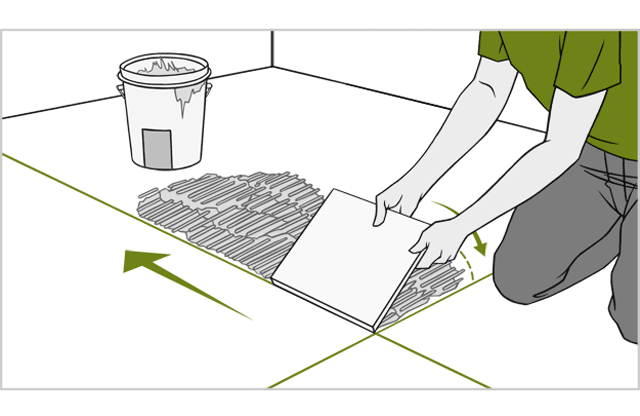 Ensure the subfloor is sound before you start work. You can lay straight onto concrete or existing tiles, assuming they are fixed solid. Wooden or uneven floors will need a sub floor fitted – well screwed down marine ply being the simplest solution.